"I wanted to give all I had... I got a few shifts at the end but it was too late." That from USA forward Charlie Coyle after his team's 5-2 loss on Friday night which basically eliminated his nation from the 2012 WJC. Unfortunately for the top line player, he was stapled to the bench for most of the game and unable to contribute much to his club's effort. Petr Mrazek's amazing 52-save performance helped the Czech Republic deliver a 5-2 punch that has all but eliminated the United States from the 2012 World Junior Championship. 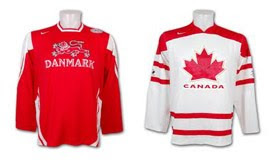 The Americans will need a highly unlikely Denmark upset of Finland this evening just to stay in the tournament beyond tonight and then will need to defeat Canada tomorrow to avoid relegation. Yevgeni Kuznetsov exploded for 9 points Thursday night as Russia pounded Latvia by a pair of touchdowns. The Capitals prospect scored or set up 6 straight goals in a 13:36 span. The 3 goal, 6 assist outburst vaults Kusnetsov into a tie for the tournament scoring lead with teammate Nikita Gusev. 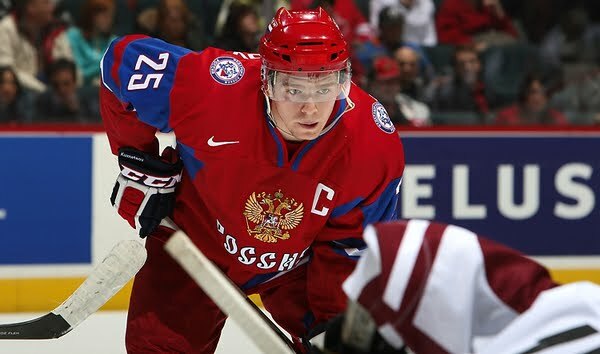 Until Thursday night Kuznetsov had been held pointless in Russia's first two games but had piled up the shots. The two Russians now sit ahead of a trio of Canadians in Ryan Strome, Jonathan Huberdeau and Mark Stone who all have 7 points. Stone leads the tournament with 6 goals. 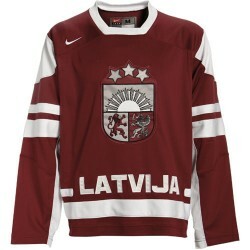 This one was 1-0 after one with the Russians outshooting Latvia 17-8. In the end the shot totals were 50-30 Russia. 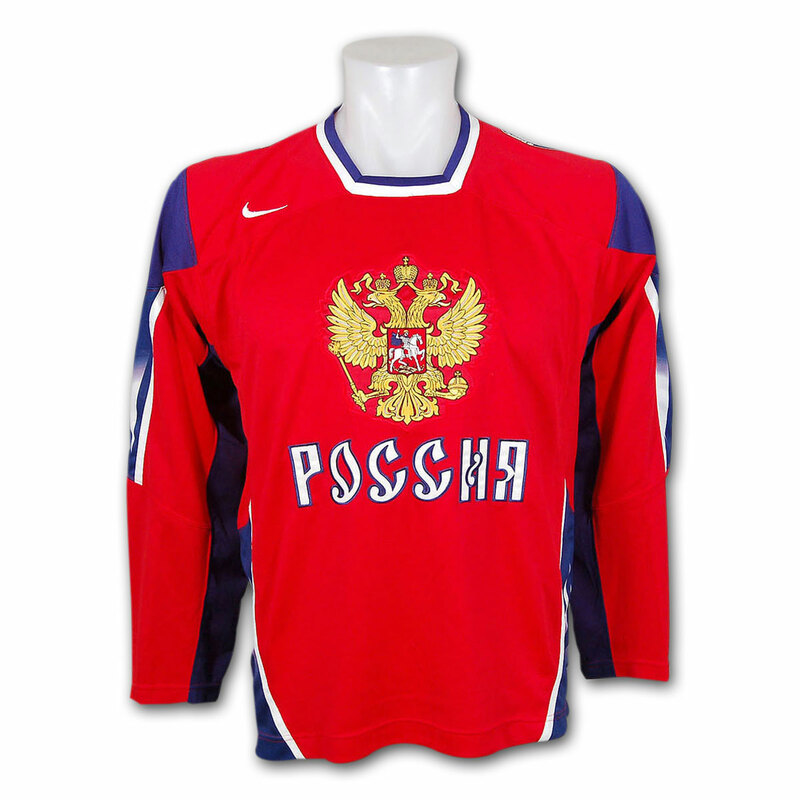 However Russia has to be concerned that star forward Mikhail Grigorenko left the game under duress. From the beginning of the 2012 World Junior Championship, especially the Pool B portion in Edmonton, much of the focus has been looking ahead to New Year's Eve. The much anticipated collision between the United States and Canada is nearly here and Canada is a near flawless 3-0 after turning Denmark into a speed bump on their way to December 31st. Mark Stone is still red hot, the secondary scoring has arrived and Scott Wedgewood has staked a pretty good claim to be the go-to goalie in net. All in all, it was a pretty solid night for Canada as they improved to 2-0 thanks to a 5-0 shutout over the Czech Republic. 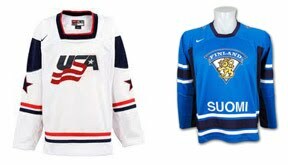 It was an outcome not many would have predicted before the tournament and even fewer after the first games had been played but with a win by Finland over USA, the WJC just became a lot more interesting. After the Americans pounded Denmark 11-3 and Finland was embarrassed 8-1 by Canada, everyone expected that USA would come out on top of their meeting with the Northern nation on Wednesday. But a strong goaltending performance at one end with strange bounces and odd goals at the other gave Finland the victory. With both teams now sporting 1-1 records, the importance and unpredictability of the final three days of round robin action is off the charts. 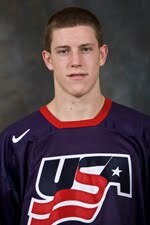 He's not a big guy but Austin Czarnik is playing a big role for USA at the 2012 World Junior Championship. Yesterday in Edmonton the diminutive forward played alongside a pair of high caliber Golden Gophers and didn't look out of place one bit. In fact, one could argue that it was the 5'8 Miami RedHawk that was the catalyst on the line. I chatted with Czarnik after the game. 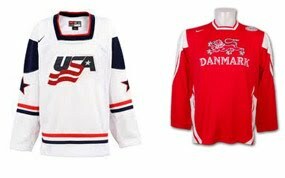 If hockey was a 20 minute game then Denmark would have been please but USA built on a 3-2 1st period lead and trounced the European underdog by an 11-3 final score. The Danes kept it interesting for a period but couldn't keep up with the bigger, faster and more talented Americans who eventually won the game on cruise control. Game story and post game comments from players and head coach Dean Blais after the jump. 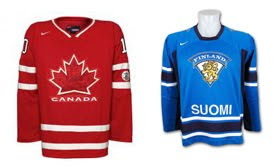 Most headlines after Canada's 8-1 blowout of Finland on Monday are probably along the lines of "Canada Stones Finland" or "Finland Stoned at WJC". Canadian forward Mark Stone registered a hat trick but Jonathan Huberdeau's 5-point night and Ryan Strome's 4-point effort should not be overlooked after game 1. Post game comments after the jump. 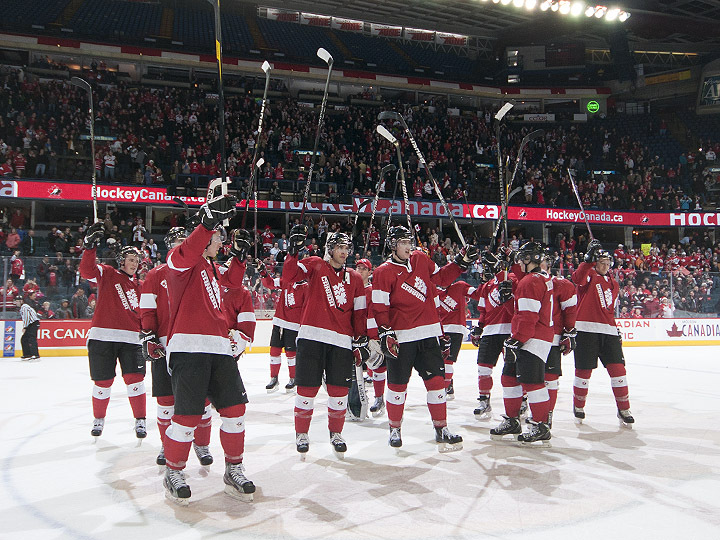 This year's World Junior Championship will mark the 11th time Canada has hosted and the 5th time in the last 10 years. The Maple Leafers will be out for their 5th gold medal on home ice. This marks our final team by team preview, the rest of the countries can be found by scrolling down on our blog. 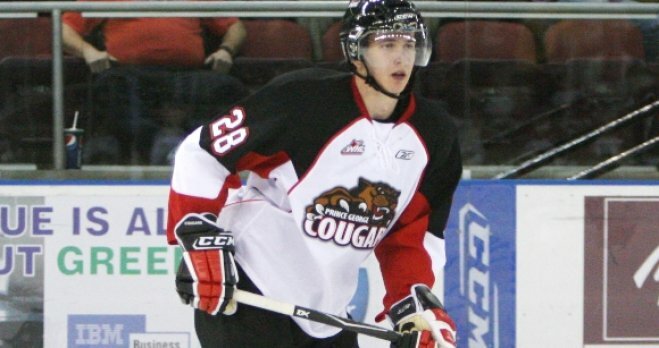 1 - Ryan Murray - He's the youngest Canadian but he really could have been the team captain. Hockey Canada has a tradition of giving it to a returning player and Jaden Schwartz is a grade A leader, but Murray would have been just fine a selection and he's not even NHL property yet. He's born in 1993 and because of his late birthday he's not eligible until 2012. He'll likely go top 3 because of his ultra smooth play. He never panics and will have the best first pass in the tournament. 2 - Visentin or Wedgewood - Canada's starting goaltender over the past two years hasn't been the guy who's finished the tournament as the number one man. Jake Allen gave way to Martin Jones in 2010 and Olivier Roy watched Mark Visentin take over last year. Visentin is back this year but enters the tournament on the heels of as shaky final game. There are lots who wouldn't be surprised if Wedgewood finishes the tournament as Canada's pipe man. 3 - Brett Connolly - The word potential has been following Brett Connolly around like a shadow for years. 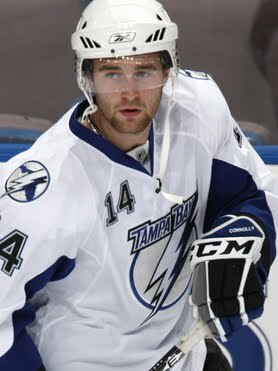 Despite injuries he was a top 6 pick and he made the Tampa Bay Lightning this year. Steve Yzerman loaned him to team Canada and Connolly has the potential to dominate the tournament. Often times Connolly will leave you wanting more for 50 minutes then make 2 unbelievable plays that lead to goals and lead his team to victory. He was unfairly criticized by some media members for his hit on Quinton Howden in training camp and had more then a few people talk honestly with him. He can come across as aloof at times and his play can fool people into thinking he's lazy but he really is a good kid with tremendous skill. Both will have to be on display for Canada to be successful. 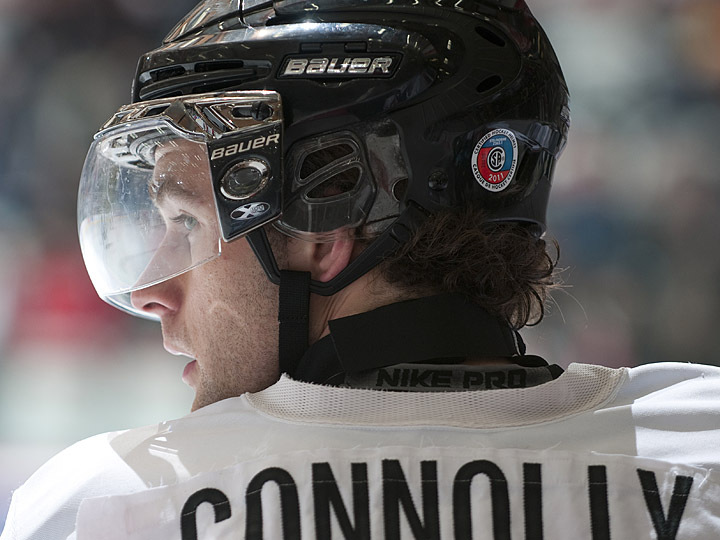 Last year Connolly had just 3 points. Devante Smith-Pelly might separate someones shoulder in this tournament. If his pre tournament play is any indication the Anaheim Ducks prospect will be a heat seeking missile starting Boxing Day. He skates hard and hurls his 209 pound frame at opponents with all the passion one Canadian kid could have. The only problem that might occur is if Smith-Pelly can't contain his physicality and ends up in the box. Every Canadian team has had a physical dynamo, from Jordan Tootoo to Steve Downie and Smith-Pelly could be the X factor for this year's bunch. Just want to send our best wishes to everyone this year, even those who we aren't big fans of. 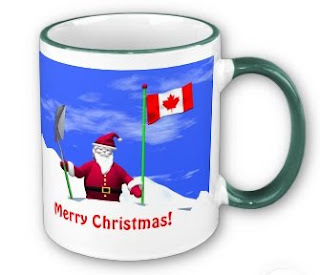 Have a great holiday season everyone and all the best in 2012. We sincerely thank you for stopping by our blog on a regular basis. Merry Christmas everyone. We are now just one sleep away from the start of the - in my opinion - the best tournament around. With that in mind we present to you our final two team previews. Later today we'll profile Canada, but right now it's the Swedes we dive into. 1- Mika Mania - The Ottawa Senators took Mika Zibanejad 6th overall in June and thought seriously about keeping him in the capital city for the season. Instead after 7 games they sent him back to Sweden to play in the Elite league and to eventually excel at the World Junior Championship. He's big, fast, skilled and scored twice against Canada in pre tournament play. Most of the offence should come through him this year for team Sweden. 2 - Don't mess with the Johan? I'm still not sure who Sweden is taking for goaltenders as they still have 3 listed on their roster, or maybe they bring 3. I'm just guessing but I think they'll go with Johan Matsson and Johan Gustafsson. The latter played very well in defeating Canada in pre tournament play and both the Johan's are bigger. Sweden in the past has had great goaltending and whoever they take will have to live up to the standards left behind by Jacob Markstrom and Robin Lehner. 3- Foppa 2.0 - Anytime you have a Forsberg on your Swedish hockey team ears perk up. There could be two Forsbergs on the team if Anton makes it as a goaltender, but all eyes will be on Filip starting Boxing Day. He's projected to be a top 5 pick come June and as the youngest player on Team Sweden will need to fight for his ice time on a older team. Sweden has shown in the past it will give a young players ample ice time, but whether Forsberg gets the same treatment as Adam Larsson and Victor Hedman did remains to be seen. In past years Sweden has come in as heavy gold medal contenders and failed to live up to the hype. This year they weren't generating a lot of buzz - until they beat Canada that is - and maybe that's a good thing. Can the Swedes really fly under the radar? I asked Anton Lander the other day who he would rather beat, Canada or Finland? 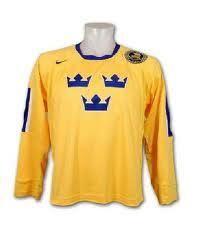 Remember Canada beat the Swedes the last two years they played for gold. Lander, a former captain for team Sweden said in Canada he'd rather beat the hosts, otherwise it would be Sweden all the way. If Canada and Sweden meet let's hope the pace of play is as good as it was Friday night. Expectations: Sweden might not be the flavour of the tournament going in, but make no mistake they expect to challenge for gold and at the very least win medal. 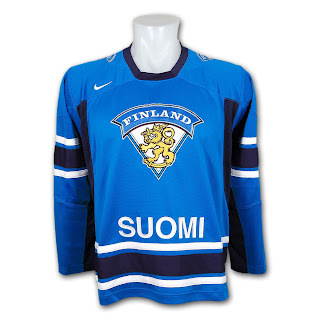 Prediction: 4th place,losing to their arch rival Finland. Earlier today we checked in with the Swiss for our WJC team by team preview. 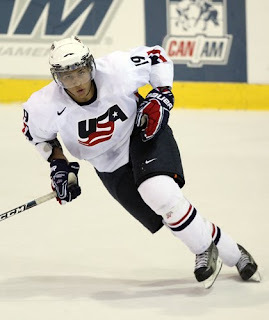 Now it's time to look at the country that has a gold and 2 bronze medals in the last 3 years, team U.S.A.
1- Jack Campbell - The Dallas Stars 2010 first rounder is a gold medal machine for the stars and stripes. He saved the U.S. in 2010 winning gold where he was named top tender. He won back to back U18 golds and also owns a Bronze from last year's WJC. While there are some who aren't sold on Campbell (they are all Canadians by the way) he has to come into the tournament as the top goaltender. He's calm, cool and collected and will be taking part in his 3rd tournament. 2- Emerson Etem - The Medicine Hat Tiger sniper had a very underwhelming tournament last year for the States in Buffalo. He could have been rattled by the negative attention he brought upon himself when he called Buffalo 'the worst city ever' and said it made Medicine Hat look like 'Paradise' before going on to record just a single point. So far the Anaheim draft pick has 3N goals in 34 games with the Tigers and will be the go to guy starting Boxing Day. 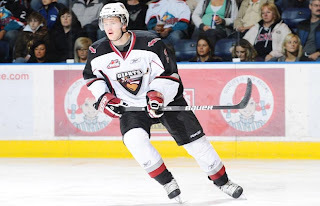 3 - Nick Bjugstad - The hulking forward is like the Xmen character Juggernaut when he gets going. But how will an upper body (many believe it to be a shoulder) affect him during the tournament as he didn't suit up in any of the pre tournament games. When he's healthy he can dominate as his 27 points in 20 games with Minnesota would attest to. Jon Merrill - Before pre tournament action Merrill hadn't played a game since April because he was suspended by Michigan for 11 games of the NCAA season. He's good, but is he good enough to shake off that much rust? Team USA's blue line hopes so because he is a vital part of what should be the best back end in the tournament. Expectations: I'm not sure if the U.S expects to win gold every tournament yet, but they do expect a medal. 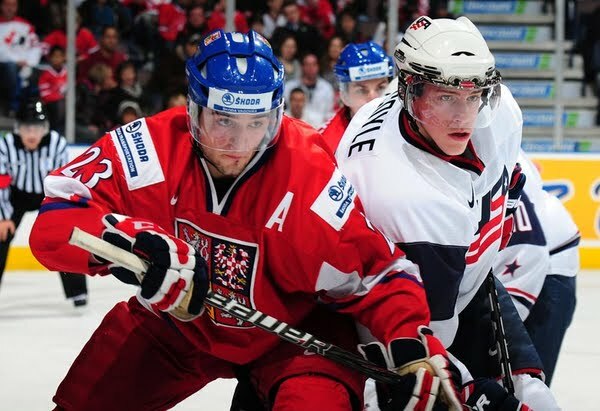 We're down to our final four when it comes to World Junior Championship team previews. Still to come, the U.S, Canada, Russia and right now the Swiss. 1 - Can they clone Bartschi? The Flames draft pick and Portland Winterhawk is easily the most talented Swiss player and is likely in the top 5 when it comes to pure skill in the tournament. But he's only one man and unfortunately won't have Nino Niederreiter to take some of the pressure off of him this year. Bartschi will face the toughest defenders each shift. He scored a dandy against the States Wednesday night but was fairly ineffective against Canada and at times looked off his game and Canada seemed to be under his skin. 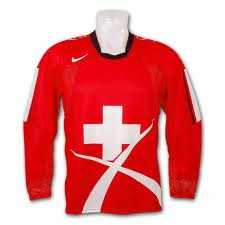 2 - Wolf in Swiss clothing - Tim Wolf took on the Canadians Thursday and while he wasn't howling with happiness after the game he did say it was a confidence booster as well as a wake up call for what he can expect when the games begin. Wolf faced 51 shots and gave up 7 goals including a few where he had no chance. If Wolf can somehow muster up a performance similar to what Benjamin Conz did 2 years ago for the Swiss then they'll be ripe to upset someone, but I just don't see it happening. 3 - Lightweight Lino Martschini - He's the smallest at 5.8 and lightest at 132 pounds in the entire tournament, but Lino Martschini will use the strategy that if they can't catch you they can't hit you. He plays for Peterborough so the rough stuff he might face won't be a surprise. The 18 year olds numbers aren't bad with 23 points in 33 games. Last year he was just short of being a point per game player for the Petes. Along with having the smallest and lightest player, the Swiss also have the youngest. Phil Baltisberger just turned 16 last month. He's a 6.0 blue liner who isn't eligible until the 2014 NHL draft, so scouts will have a few years to watch him develop. Expectations: The Swiss would be thrilled just to play for Bronze like they did in Saskatoon 2 years ago. Predictions: it's not their year, they will battle it out for 7th-8th. Continuing our look at each team taking part in the World Junior Championship we move from Finland earlier today to the defending champions from Russia. first game vs. Switzerland, December 26th, 8:00 pm mst. 1 - Which team will show up? Last year the Russians showed incredible resilience bouncing back from a 3 goal deficit in the 3rd period against Canada to win gold. In fact the team came back several times during the tournament. In 2010 the team imploded and struggled to a 6th place finish. Nikita Filatov was the captain that year, for a while before he was stripped of the C and told TPS that the team basically quit on the coach. This year's club is very skilled up front and is like a shark tasting blood...they want more. 2 - Kuznetsov, Yakupov or Grigorenko? There is so much skill on this team you have to wonder if they will be led by one player in particular. Yevgeny Kuznetsov was the guy who sparked the comebacks last year and will be the captain of this squad. The Capitals first rounder had 11 points in 7 games last year. But Nail Yakupov and Mikael Grigorenko will be vying for some of that top end ice time to, as well as trying to impress scouts in preparation for the 2012 NHL draft. Putting all 3 on the power play could be deadly for the opposition. 3 -Experience - Depending on which goaltender the Russians leave off the roster they could have just one 17 year old on the roster. In fact they could have up to 17 nineteen year olds. They also have back with them head coach Valeri Bragin who worked magic with last year's gold medal winning team. Who will start in net for the Russians? Andrei Makarov told TPS weeks ago he was already on the team. If that's accurate it leaves youngster Andrei Vasilevski and 19 year old Sergei Kostenko to battle it out for the other job. Vasilevski was brilliant in beating the U.S in pre tournament play. Expectations: Russia expects to win gold, especially after last year's impressive comeback win. Predictions: While they are ridiculously skilled, there is just something about this year's Russian team that has me worried. I have them losing to Finland in the Bronze medal game. Team Canada wasn't planning an on ice work out Friday so who knows if the lines will stay the same as they were against Switzerland when they take on Sweden at Rexall Place tonight. There might be some tinkering, especially with Don Hay and company working an extra forward and defenceman through the line up. Who knows maybe they catch lightning in a bottle while cycling through the 13th forward. So for what it's worth here are last night's line combinations, which were shuffled up as the game went on. We continue our team by team preview series here with 2 more countries today. Already we've explored Latvia, Denmark, Slovakia and the Czech Republic. Now it's time to dig into the Fins. First Game vs Canada December 26th, 1:30 pm mst. 1. He ain't heavy he's my brother - It's amazing to think that had he not been injured last year Mikael Granlund would be suiting up for a 4th time in this tournament. It was obvious they missed him last year losing to Russia in the Quarter finals. But as good as Granlund is, Finland hasn't won a medal with him on the roster. The Minnesota Wild first rounder in 2010 was leading the elite league before joining the national team and looked to have some nice chemistry with his brother Markus, a Flames prospect in their first pre tournament game against Canada. Markus will be making his first WJC appearance but has led Finland in U18's before, as a captain last year and offensive leader with 10 points in 6 games. His older brother is captain for Finland this year and will look to add to the 13 points in 12 WJC career games. 2. Joel Armia - He's the biggest Finnish forward at 6.04 and will have to be a pest in front of the net for Finland to be successful. The Sabres first rounder, 16th overall last year, will also need to pick up his play from last year's tournament where he netted just 1 assist. Armia will rely on his U18 experience where he was exceptional for the Fins. 3. Olli Maatta - He's young (3rd youngest on the team) but might not believe that after watching him play. 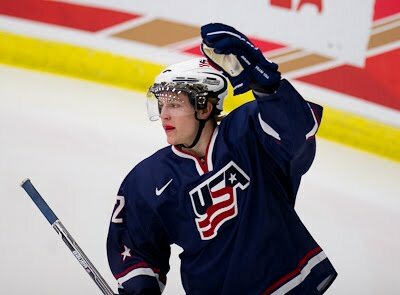 Maatta is eligible for the 2012 draft but already has a year of the World Junior Championship under his belt. Maatta plays with London of the OHL regularly and plays in all situation with the Knights. It will be no different with Finland as he could be their top rear guard in all situations. He's mobile, big and plays a smart game. Aleksander Barkov - The second youngest player in the tournament could be a crowd favourite. He will become the youngest Finnish player to ever play in the tournament, adding more milestones to his resume. Earlier this year he became the youngest player to score a point in the Finnish Elite League. Barkov's father is of Russian decent and played many years for Russia, he's also a coach in the KHL right now. Barkov could make an early statement for the 2013 draft with a strong performance and could take some heat off the Granlunds and Joel Armia. Expectations: Despite their last medal coming in 2006, a bronze, the Fins still expect to medal every year. I'm not sure they're worried about what colour it is. Predictions: I like the Fins this year. Michael Granlund could lead the team in scoring and their goaltending looks to be very good. Bronze medal. 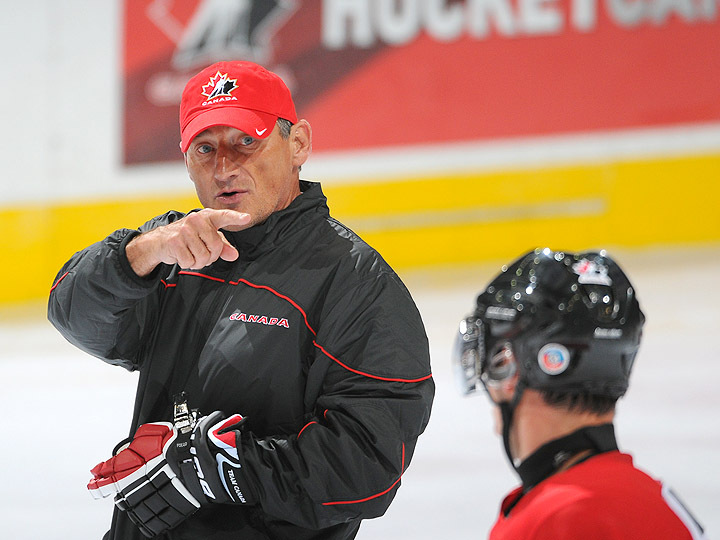 Don Hay is still perfect as a Canadian coach in Red Deer. 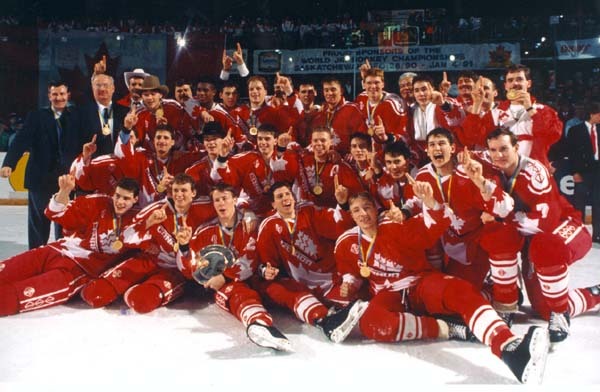 Hay who guided Canada to it's first perfect tournament in winging gold in the 1995 event watched his troops skate the Swiss into the ice Thursday night at the Enmax Centrium. The final score was 7-1, the final shots were 51-18. 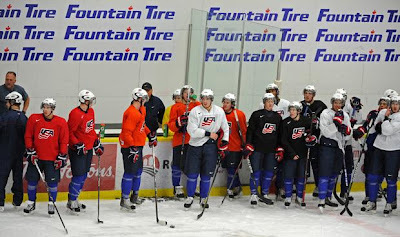 Almost immediately after Wednesday night's 7-3 victory in Camrose over Switzerland, the USA Hockey brass and coaching staff got to work on cutting players from their camp. The final 22-man roster was named early on Thursday and didn't stun anyone although at least one player has already voiced his disappointment. Earlier today we profiled Slovakia for the upcoming World Junior Hockey Championship. Now it's time to feature their former country mates from the Czech Republic. 1- Petr Mrazek - It's mind boggling that this is Mrazek's first kick at the World Junior Championship. He has been considered the best goalie in the Czech Republic for some time but the Red Wing draft pick wasn't allowed to play for his country at this tournament the past few years because of his CHL situation. He plays with the Ottawa 67's and whether it was stubbornness on the part of the Czech hockey federation or not it was silly that he wasn't playing. The countries chances have increased quite a bit with him on the roster. 2- David Musil - The hulking blue liner gets to play his round robin games in the city he was born in. The son of Frank, David was born while his dad was playing with the Oilers, but he's always suited up for the Czech Repbulic. 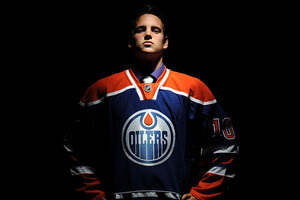 He plays in Vancouver and was drafted by the Oilers in 2011. Some scouts think he's an Adam Foote type blue liner and he'll have to be strong and tough for the Czech's to win. 3 - Martin Frk - There's no question Frk would lead this team offensively, if he was healthy. He's been named to the team but has played just 7 games this year for Halifax because of a concussion. Frk is a very important player for his country and this is a very important tournament for the highly skilled 2012 draft eligible forward. Radek Faksa - While a lot of 2012 draft talk surrounds Frk, Faksa could steal some of the spotlight with a strong tournament. Most publications have Faksa as a 2nd half first round guy. He's 6.03 and 200 pounds and is over a point per game with Kitchener of the OHL. ISS says Faksa loves the North American game so it should be interesting when he faces hard hitting teams like the States and Canada. Expectations: The Czech's would love to say they expect a medal, but really it's not true. They want at least a bronze medal game but a strong round robin will still be an accomplishment. Predictions: They could nip Slovakia in a placement game, but I don't see them making noise in the medal round. 5th-6th. Yesterday we kicked off our team by team preview for the upcoming World Junior Hockey Championship. You can read up on Latvia and Denmark by clicking here and here. Here is a closer look at Slovakia. 1-Marty's Party on the blue line - Slovakia's blue line could be anchored by a couple of Oiler prospects in Martin Gernat and Martin Marincin. The pair who measure up at 6.05 and 6.04 respectively, are from the same home town of Kosice. Gernat (below) started the year on fire but ran into the wall that Europeans usually hit at some point in their first junior season. They simply tire out, but if it happens earlier enough the player can bounce back. Marincin did the same last year, but it seems has yet to bounce back. He had more points in the month of October last year then his 16 he has this season. Slovakia needs the two towers of power to be charged up if they are going to be able to shut down the opposition. 2- Tomas Jurco - The Saint John Sea Dog will be the straw that stirs Sovakia's drink. He's big and skilled and went through the CHL playoffs to win a Memorial Cup last year. Jurco will be looking to improve on his one point he notched in last year's event, and the Detroit Red Wings are excited to see him and how the 2nd round pick from last June measures up against the rest of the World. He's not on an Island with Slovakia, but the high end skill is pretty thin. 3. 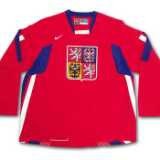 Paging Yan Lasak - I don't know anything about the Slovakian goaltending, but if they are anything like Yank Lasask in the 1999 tournament they'll be ok. Lasak stared down Canada at the Keystone Centre in Brandon that year, holding canada scoreless in a 0-0 tie. Dominik Riecicky is the only one of the 3 remaining goaltenders on Slovakia's roster with experience from this tournament. He posted a 3.37 gaa and .916 save per cent age in 5 games last year. Richard Sabol is a 2012 first time draft eligible player who previously suited up in U18 and U17 events, and Juraj Simboch is a 19 year old undrafted pipe man vying for one of two spots. If Marek Tvrdon wants to face his junior head coach he'll have to lead Slovakia to a medal round berth and hope they draw Canada and Don Hay. The two are together with the Vancouver Giants. Tvrdon would also be taking on his line mate Brendan Gallagher. Expectations: The Slovaks will celebrate if they can play for a medal and even a 4th place finish will feel like an accomplishment. 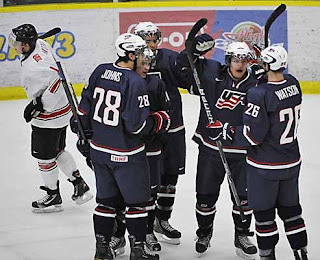 A night after being doubled up on by Russia, the United States rebounded to paste Switzerland 7-3 in 2012 WJC exhibition action in Camrose on Wednesday night. Brandon Saad's 5-point effort led the Americans to the convincing win on the eve before USA Hockey makes its final cuts in advance of the event beginning on Boxing Day. The Pipeline Show was in attendance and spoke with several players and coach Blais after the contest. 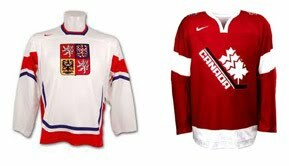 Starting Today and running through till Boxing Day we'll give you a quick look at each team suiting up in the World Junior Hockey Championship. We started with Latvia, and now it's Denmark's turn. 2. Mads Eller-The younger brother of Lars Eller will hope to bust onto the WJC scene like his brother did in 2008 when he had 6 points in 6 games along with 37 penalty minutes for Denmark. Like big brother Lars, Mads should be a big boy, already at 16 he's 6.0 and 165. 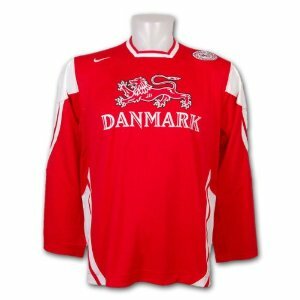 Lars went 13th, at the time it was the highest draft spot for a Danish player. Mikael Boedker bested that in 2008 going 8th overall. and young Mads will try and set a new mark in 2013. He'll give scouts an early look this holiday season. 3. 1-3-1 - Watching Denmark practice one day they repeatedly ran through the 1-3-1 system. It might be their best chance at winning. Yes it's boring, but you plan your style around the players you have not the other way around. They will need exceptional goaltending to succeed. There are at least 3 teams with brother combinations in the tournament. The Hamiltons on Canada. The Granlunds on Finland and the Bjorkstrands on Denmark. Patrick, a 19 year old winger and Oliver a 16 year old centre are the sons of Minnesota native Todd Bjorkstrand who moved to Denmark 21 years ago to play and never left. Todd took over the junior team last year and the family act will hope to take Denmark where they've never gone before. A win at this tournament. Their only other appearance came in 2008 when they went 0-6. Expectation: Don't get relegated, win a game. Prediction: An outside shot at 8th, but most likely relegation. 1-Zemgus Girginsons-The 2012 draft eligible forward could become the first Latvian taken in the first round of the NHL draft. Most publications have him as a first rounder with some thinking top 10 potential. He was wooed by the Kelowna Rockets of the WHL, but has committed to Vermont in the NCAA and has repeatedly denied any interest in moving west. Currently he's in his second season with Dubuque Fighting Saints of the USHL where he's put up 12 goals and 26 points in just 22 games. As a rookie he netted 49 in 51. 2-Kristians Pelss-The Edmonton Oil Kings forward and Oilers draft pick will likely be the only one to take the pressure off Girginsons. Pelss at times has looked dominant in the WHL and he'll enter the tournament on a hot streak with 9 points in 8 games including a 7 game point streak. 3-Latvian Fans-It's well known that the tiny Baltic country has some of the best fans around when the World Championships are held in Europe. Will they make the trip to Canada for the event? If so they'll be loud and proud for their boys and will be very entertaining. Also watch for Calgary fans to adopt the team as a feel good story. 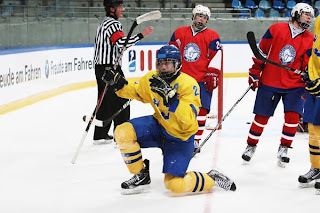 Teodor Blugers is a 17 year old centre who was born in Riga, Latvia but developed in North America. He's currently in his 3rd season with Shattuck St. Mary's prep school where he's torching things up with 33 points in 20 games. Next year he's set to join Minnesota State University (Mankato). Blugers is also 2012 draft eligible. 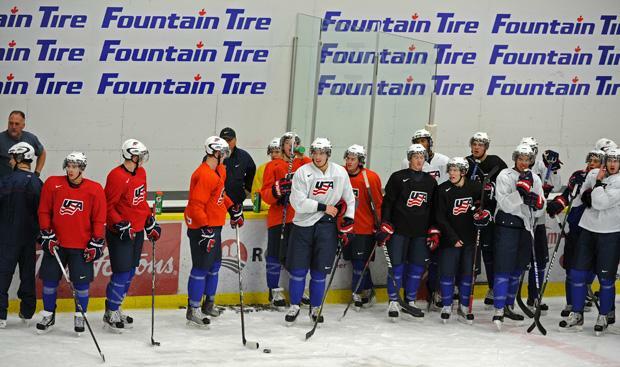 I had the opportunity on Monday to drive out to Camrose to take in most of team USA's practice and speak with a handful of players as well as head coach Dean Blais. While I was there I ran into frequent TPS guest Dave Starman who will be handling the colour analyst duties for the American coverage of the tournament being shown on the NHL network south of the border. The practice was entertaining and informative all at once. 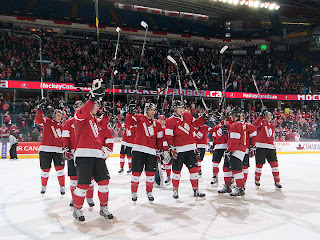 No surprise but this is a team that is going to demand respect once the 2012 WJC gets underway. Here are some notes and thoughts I had plus some insight from the day in Camrose. On Tuesday night Guy and I will be revealing our all time World Junior Championship line. 3 forward, 2 blue liners and a goalie. We'd also like to see your team, and to entice you, everyone who emails us their team will be entered into a draw for two tickets to a World Junior game in Edmonton, opponents tba. So it's that simple, email us your team to pipeup@theteam1260.com. We'll be making the draw near the end of our show Tuesday night. While you're emailing us you might also have a question for our World Junior Championship preview show. We will be taping it this week and it will air Saturday morning at 10, a great way to start your Christmas Eve!!!! Long time CHL media members Sam Cosentino of Sportsnet and Peter Loubardias who calls the games on SHAW will help us go through the tournament team by team. 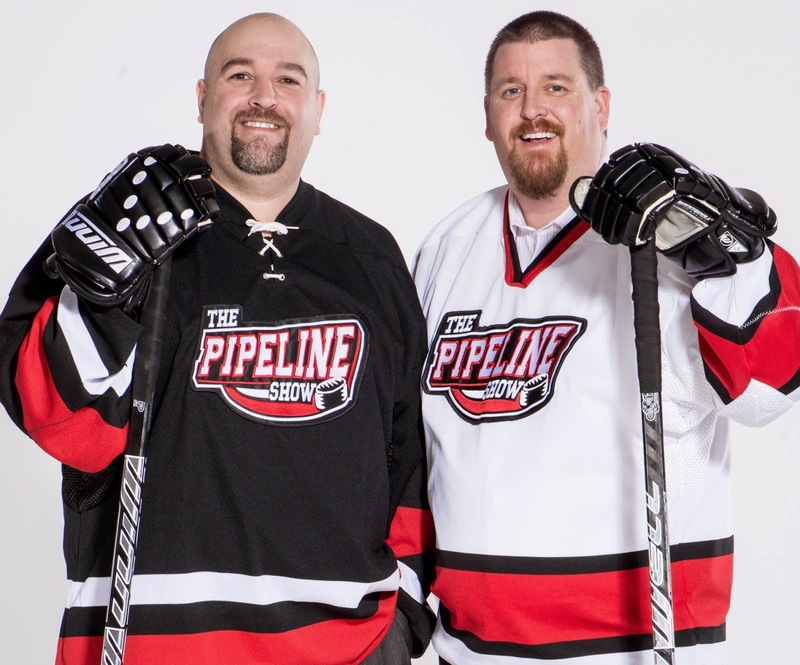 Have a question about a player, team, or past moment, drop us a line or tweet us @thepipelineshow . And remember you can catch all the games on the TEAM 1260 with Sam and play by play man Rod Pedersen starting Boxing Day with Canada vs. Finland. Oil Kings to join the cast of Glee??? The hit show Glee, (which happens to air on Global Television), should be extending a guest host invitation to the Edmonton Oil Kings veterans. If you've been a to a game lately (which if you're a hockey fan you should have by now) you will have seen the rookies on the big screen with their versions of classic Christmas songs. Now the veterans have gotten into the Christmas spirit. The video evidence after the jump and really, you have to see this. This morning the rumors started to spread that Boston University sophomore Charlie Coyle was going to leave college and join the Saint John Sea Dogs. The Boston College Hockey Blog wrote on Thursday that it appeared the Terriers star forward was leaving and that "Coyle is gone mainly for flunking in school", an allegation that the player has vehemently denied to TPS. With Team USA arriving in Edmonton on Friday, both Dean and I planned to meet the team at the airport and with this news coming out this morning, it gave us just one more reason to do so. Oddly enough, Dean (there for his TV gig with Global) , an unknown local newspaper reporter and myself were the only media who apparently knew USA was flying in so the opportunity was right for a candid one-on-one. Which is what I got with Coyle. It's one of those goals you won't believe until you see it two or three times so it's fortunate that you get to see it from 3 or 4 different angles here. A remarkable second effort goal by Cedar Rapids forward Landon Smith that he might not be able to repeat in a hundred attempts. The 18-year-old from Greenwood Village, Colorado is a rookie this year in the USHL and is committed to join the University of Denver. The goal reminds me of Blake Wheeler's diving OT goal against North Dakota in 2007. There are 10 different nations represented in the World Junior Championship but nearly half of the goaltenders expected to be on those roster will come from teams based in the Canadian Hockey League. Is the CHL, and more specifically the Ontario Hockey League, becoming the new place for goaltenders to develop? Here's a look at the CHLers from around the globe. Wow, it must be fun to be an Oil King fan right now. Edmonton fans - and those across the WHL on Shaw - watched the OK kids run their win streak to an even 10 Wednesday night, doubling up Victoria 6-3. The numbers during the streak are pretty impressive. "I'm looking for players that can play a 200 ft game; at all ends of the ice, all areas of the ice and that can adjust to different roles. We're going to ask some real top-end skill guys to play different roles than they're used to." That's what Canada's coach Don Hay said the morning they revealed the initial 41-man camp roster. Now that the final team has been picked (pending injuries*), we can reflect on those statements and see how true they are. 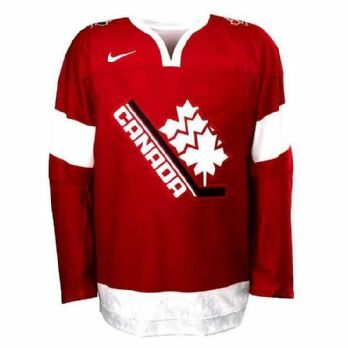 Hockey Canada will cut down from 35 to 22 by early Wednesday morning meaning the hearts of 13 more kids will be broken. However one of them might have a glimmer of hope. Jonathan Huberdeau will be named to the team, but if he can't play at some point due to his broken foot Don Hay and his staff will have to bring in a replacement for the Saint John Sea Dog. It would be a tremendous blow to the team as the Florida Panther prospect - 3rd overall last June - was scoring at at rate of more then 2 points per game. But it's not like the team will be replacing him with a 4th liner should they have to. Evander Kane was called back after Dana Tyrell was injured during a pre tournament game in 2009 and Kane had 6 points in 6 games. As for who will be joining Huberdeau on the final roster, here's my stab at it. Hockey Canada spent the wee hours of the third morning of WJC camp breaking hearts as they trimmed their roster from 42 to 35. Three defencemen and four forwards got the bad news on Tuesday, the remaining players will take on a mixed-CIS team tonight with the final cuts coming on Wednesday. Here's a list of who was sent home. Team Canada's inter squad game Monday night produced only one goal that beat a goalie, but plenty of hits and one injury. One returning player may have knocked another out of the tournament. Or Quinton Howden will be ok and able to fill a huge roll for Canada starting Boxing Day in Edmonton. Either way Brett Connolly seems to be taking a lot of heat right now. The brass for Team Canada decided to give the players the morning off from on ice activities. Some are healing bumps and bruises while others aren't yet able to skate. Another reason is that most guys played Friday night before jetting to Calgary on Saturday. Here are some notes from the media availability before tonight's 2nd inter squad game. Kevin Prendergast and the coaching staff for Team Canada received 2 early presents Thursday night when it was announced by Anaheim and Tampa Bay that Devante Smith-Pelly and Brett Connolly would be loaned to the Canadian World Junior team. Is Marincin on the Move? Here's a hypothetical question for you: Let's say you're the 9th place team in an 8-team conference. The team you are chasing for the final playoff spot is just three points ahead of you in the standings but have 4 games in hand thus potentially increasing that lead to as many as 11 points. Let's further suppose that three years ago you just squeaked into the playoffs and were soundly swept in 4 straight games. You probably would have dealt your best player before the deadline that year but he got hurt at Canada's WJC camp and was done for the season, preventing you from stockpiling the youth and picks he would have garnered in a deal. Now imagine that the next year you not only miss the playoffs but finish dead last in the league because your new star player was hurt at a summer camp for Hockey Canada and battled injuries all year long, only appearing in 16 games. He comes back the next year and with some promising youth and additions, you make it back into the postseason but fail to win a playoff game once again. You prepare for 2011-12 as though you may have the pieces in place to not just make the playoffs but potentially host in the opening round as a top-4 team. Your key import is sent back to you instead of the AHL and all seems right with the world. Then, that star player that you were counting on to guide your team to the top of the standings? He surprises and sticks with his NHL club as a 19-year-old meaning you can't have him on your roster and you've lost another franchise player without getting anything in return. Now... with a month to go before the trade deadline, you've got a decision to make. Do you try and rally the troops to overcome the 3-11 point deficit so you can just make it into the playoffs (to face a potential Memorial Cup champion in the first round) or do you take advantage of the first chance you've had in 4 years to make trades to better your franchise for the future? Such is life for the Prince George Cougars who have two impact players on their roster that they know won't be back in the WHL next year. One is definitely available, the other is a guy 21 other teams would love to add to their squad. Yesterday I asked GM Dallas Thompson what he plans to do with 32-goal scorer Charles Inglis and stud import defenceman Martin Marincin. It is being reported by media in the QMJHL that Acadie-Bathurst defenceman Jeremie Blain has received a 2-game suspension for his actions during a 3-1 loss to Shawinigan on Friday night. Willy Palov from the Halifax Chronicle-Herald referenced the incident on Twitter this evening by saying the ban has been given to Blain "for directing inappropriate remarks towards Shawinigan's Jonathan Racine. Racine is black." Racine was a 3rd round pick by the Florida Panthers in 2011. Blain became property of the Edmonton Oilers in 2010 after they used a 4th round pick to select him. Russia is holding a preliminary WJC camp in Novogorsk beginning December 7th but will also add players to the final team who are currently skating in the CHL. Last week NHL.com scribe Mike Morreale posted the camp list which you can find here. You can be sure that players like Nail Yakupov and Mikhail Grigorenko will be added to the team when they arrive in Calgary on December 18th. One other player you can add will be a goaltender playing in the WHL. The Pipeline Show has learned that Saskatoon Blades netminder Andrey Makarov has already been named to the team. The Swedish World Junior team roster was to be announced tomorrow but as is common in today's world, a leaked listing has made it's way to the internet and some intrepid Swedish fans have jumped all over it. I suppose this should have a disclaimer that it's potentially a fake but message board talks appears to accept that it is real. 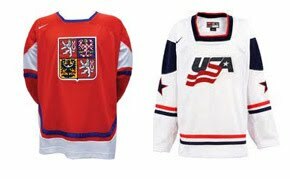 Whatever Happened to Czech Hockey?